The Aeropress has been gaining traction in the high-end coffee world since its introduction in 2005, with good reason. But it isn't all good news. The method brews a quite unique cup, that melds the brightness and mouthfeel of an espresso with the texture and simplicity of a traditional drip. The system definitely has some brilliant elements, but I don't find myself using it, and instead returning to my typical prefered method, the chemex. The traits of the Aeropress make it the ultimate brew method for the road warrior; but for those of us with a more sedentary life style, it leaves an unquantifiable something missing. Light - The Aeropress weights almost nothing. Not important in most situations, but for travel: essential. Quick - While not quite as fast as espresso, the Aeropress brews very quickly, somewhere in the 30-60 second range, roughly paralleling its hybridity between drip and espresso. Unbreakable - Not quite. But close. Being made out of plastic certainly helps, but you can carelessly throw this in a bag for travel and arrive with a still functioning brewer, unlike a pour-over, chemex or French press. Compact - The space required for a aerpress is about that of a 16oz beer can. Makes Good Coffee - Getting good at brewing on an Aeropress is definetly easier than learning an espresso machine, and it makes a darn fine cup of coffee. They aren't used in cafes because of durability, after all. Neat - The "puck" system actually makes the Aeropress one of the neatest and cleanest brewing systems I've experienced. There is little mess, and at the end, the brewer just requires a quick rinse. V1 - Despite working quite well, the Aeropress still feels like a brew method in its infancy. There are too many arguments about inversions for oils v. typical brewing, and the device doesn't quite answer the question of what it is supposed to do. The result is a brewer that hasn't quite worked out all of its kinks just yet. Some would call it versatility, but I am a believer that design should make its use obvious to the user and the Aeropress feesl a bit like it is trying to do everything for everybody. Filters - Just about the only thing that prevents the Aerporess from being a perfect travel system is the need for specially designed, non-reusable filters. While the need for these is intrinsic to the system itself, their rather small distribution, and the relatively unkown nature of the press, means that you can either order them online, or get them at a specialty store. 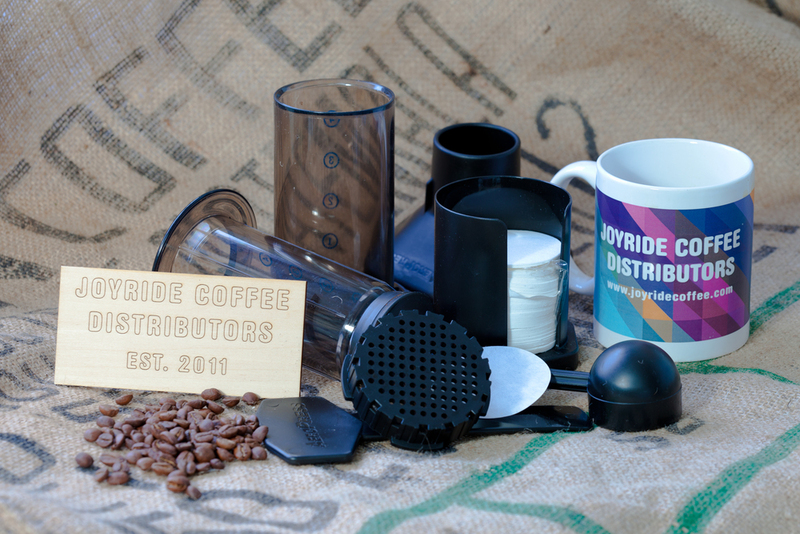 SingleCup - The Aeropress, like many popular brewers, makes only a single cup. A big part of coffee for me is the conversation, and the chance to socialize that comes with it. The Aerorpess is and feels like the private possesion of a coffee nerd, it isn't something you could break out at lunch with your grandma, the way a frenchpress or chemex can span the gap between nerd and the creamer-crowd. NotEspresso - It is a little obnoxious to compare a $30 brewer to a $3000 machine that requires an electrician and a plumber to install. But that is what the aeropress is aiming for. It is a bold effort, and while they capture much of the essence of espresso, the lack of pressure leads to a cup that brings espresso to mind, but which does not fill the same hole in your soul. Sometimes espresso is sublime, and maybe it is my brewing, but I just don't think the Aeropress is up to the challenge. I think I would like it better if it were trying to do its own thing, but espresso, but it's not. Tough to Learn - While the Aeropress doesn't require the same amount of experience to use properly as say an Espresso machine, the element of pressure requires a steady and skilled hand to use properly. While elements like water weight and grind can be quantified and squared away, manually applied pressure is much more difficult to gauge, and is difficult to deliver consistently from brew to brew. Obviously, my complaints are nit-picky, and generally speaking the Aeropress is a significant addition to a barista's arsenal. In its own way, as a specialized tool used by a experienced user, it can deliver an amazing cup of coffee. But it isn't for me. I love espresso, and I love drip, but for different reasons. Aeropress fills the gap between the two, but it doesn't really do either quite the way I would like.